Disclaimer: The Xi Audio Formula S sent to us for the purposes of this review is a sample and does not have to be returned. 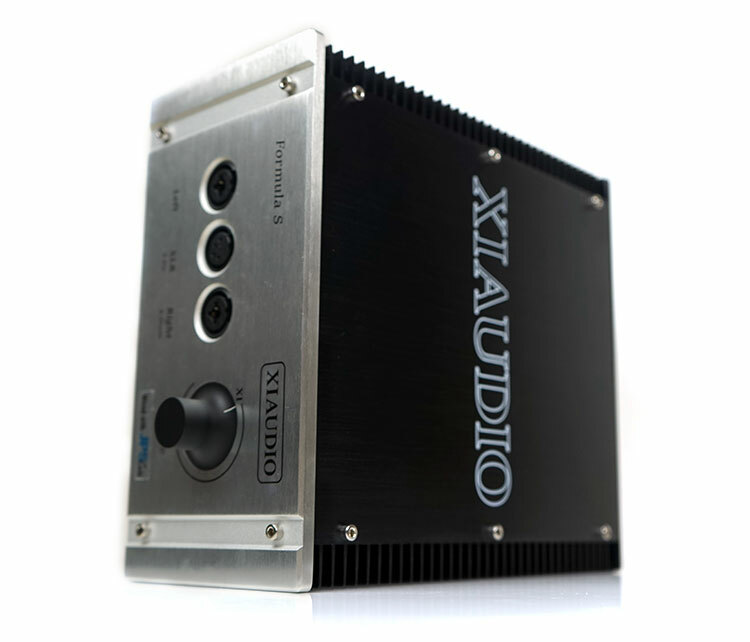 Thank you to Xi Audio for giving us this opportunity. 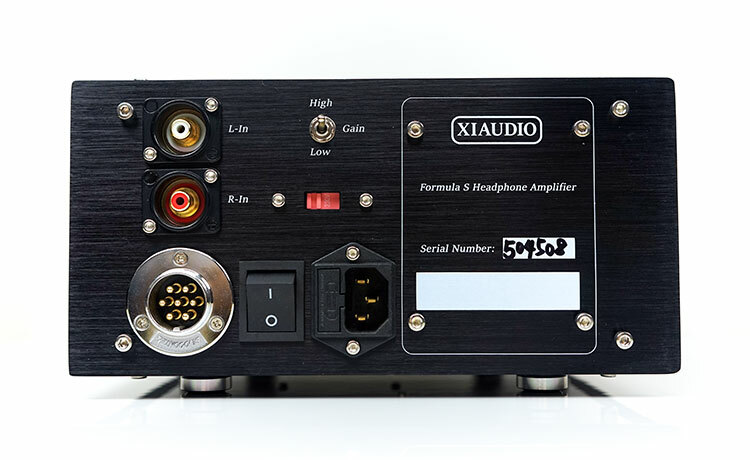 The birth of the Formula S solid-state amplifier, and I guess the birth of Xi Audio is a complex story. I would suspect “audiophiles” might be aware of the names and brands involved. Xi Audio’s main protagonist is a certain, Michael Xiao. Before starting up Xi Audio, Michael was also the primary driver behind Lotoo and their fantastic Paw Gold DAP so he is not new to this game. The company has operating now for around 2 years with the Formula S as their first product launch followed by a more affordable battery-powered Class A, fully discrete amp called the Broadway. It seems headphone amplification, rather than digital media players, is where Michael seems at his happiest. With the Formula S, priced at $3499, this is quite a way to announce yourself to the market. However, we think this amp is a pretty special piece of gear and possibly one of the finest amps we have heard in the last few years at the office. Quite apart from being their statement pitch, a Class A full discreet desktop headphone amplifier, there actually another angle to the Formula S. You see from the moment it was launched in 2014, Michael Xiao fell in love with the Abyss AB-1266 planar magnetic headphone. So much so he was pretty much the big voice in China pushing the Abyss and JPS Labs for a few years. Being a realist though he quickly realized that the matching of this particular headphone was a challenge. It is not for everyone. It is clean, fast and very detailed but needs a great amp to get it to sound optimal. Joe, Head of JPS Labs, and Michael decided to build an amp together that best represented their ideal vision of how the Abyss could and should sound. 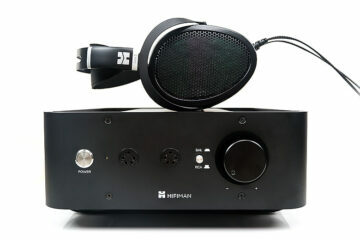 In fact, a quality amp for any high-performing planar headphone for that matter. Hence the Formula S came to pass in the middle of 2017. A co-designed and tuned Class A amplifier to maximize detail with an emphasis on delicacy and sweetness over raw power and aggressiveness. Michael has gone to great lengths to emphasize his priority with the Formula S was in producing a certain tone that he felt was truly “high-end” and not just all about power. Sadly, we do not have an AB-1266 at the office> We really should at some point. 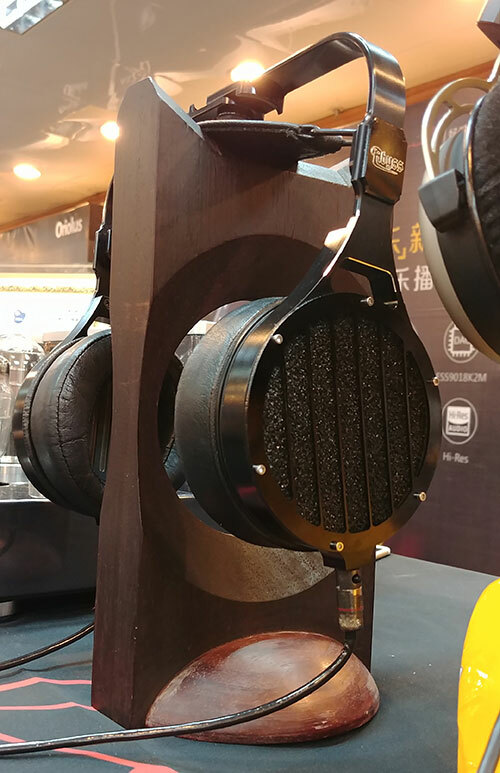 However, in Nov 2017 I did get a chance to meet up with Michael at the Guangzhou Headphone show and he did have a Formula S and AB-1266 setup. I can tell you that whilst trade show conditions are never optimal, the sound was indeed supremely clean, quick and detailed sounding without any harshness. It is well worth a listen if you get a chance. For the review though we do have some excellent pairings to talk about such as the Susvara, LCD-4, and MrSpeakers Ether range. The Formula S is a compact but fairly tall discreet Class A desktop amp. It measures in at 24 cm x 29.3 cm x 13 cm and weighs a relatively modest 4.8Kg. This is not some ‘ten-ton Tessie’ on your reinforced Sabre rack kind of deal. If I am not mistaken a little of that lightweight feel is down to the choice of power supply. The Formula S uses a pricey R Core transformer which can be smaller and lighter than the equivalent toroidal power supply and do a heck of a job isolating from line noise with good shielding. Having said that the Formula S is built like a tank. It is an almost old-school hi-fi design in a sense with its aluminum paneling and brushed silver metal front panel. All of which tightly held together by some sizeable and non-too discreet screw nuts on each side. At the base are 4 silver and black finished rubber soles that provide a very strong grip on flat surfaces. I am told that the version I have is the Asian version which is a black and silver front panel finish. 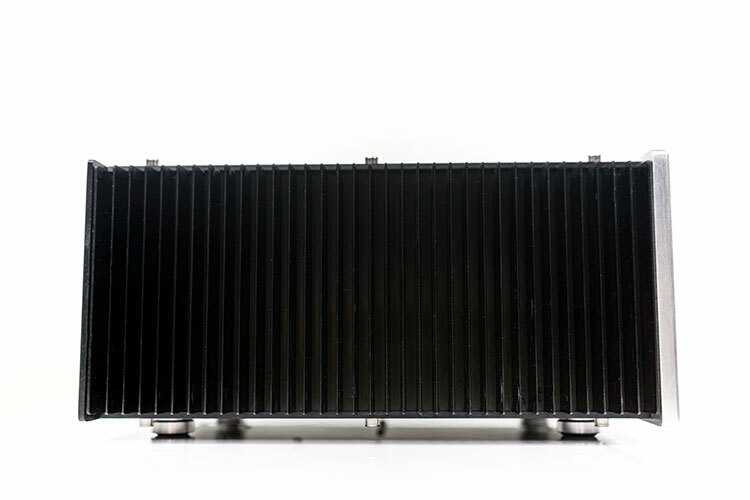 The latest model is an all-black model design to compliment the all-black tone of the AB-1266 even more. I prefer the silver panel but it is just a preference thing since I have all my amps in silver. The rest of the aluminum plates behind the front panel are a solid black with the Xi Audio branding on top. On each side there looks to be a heatsink type panel build for partial temperature control and a way for heat inside the amp to channel out. Mind you the Formula S does not get that hot despite its Class A discreet design. All inputs are to the rear of the Formula S. Just to note this is actually a single-ended Class A design. For Michael and Joe, they felt the balanced/power option or going fully balanced would take them away from the sound signature they wanted the Formula S to have. Thus, you have a single set of gold-plated dual RCA inputs as opposed to any balanced XLR. Below there is a circular expansion 7-pin power supply connector which, I am told, will be for future product launches to connect to the Formula S such as dedicated battery packs. 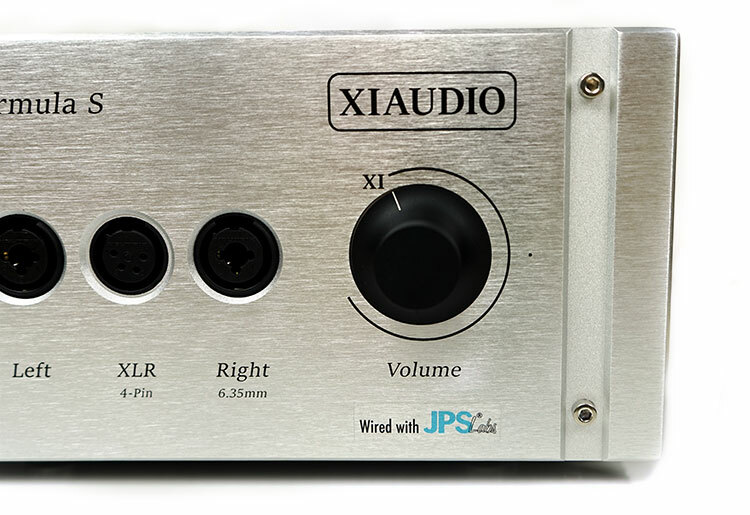 The RCA socket wired directly to the volume control using JPS Labs own Alumiloy® wire (with no additional switches or circuit paths). To the side of the analog inputs is a gain selector switch (low and high). The difference I believe is around 6dB with the low gain set at 10dB and high gain at 16dB. It is not a huge swing and to be honest I found myself using high gain for most of my listening with inefficient or demanding planars for that additional headroom and volume control. Much of your decision making will really depend on the pre-amp you use with the Formula S. I tended to use either the Hugo 2, NuPrime’s CDP-9 or even Burson’s excellent little Play as a preamp. Both the NuPrime CDP-9 and Burson have better pre-amping gain and volume control than the Hugo 2. Underneath you have a voltage switcher, either 115VAC or 230V 50/60Hz. I do advise always checking that before you power it up. Below is the power supply, a standard grounded IEC AC cord socket standard power interface, (115/230 universal). To the immediate left are the fuse box and power switch. All outputs are on the front panel for headphone connections. You can have three different types of connections with the Formula S though they are all still outputting a single-ended signal. Primarily the variety is about choice rather than any intention to make you think it is balanced. The first is a dual 3 pin XLR, the second is a single 6.35mm (right-sided port) and finally, a 4-pin XLR connection. Finally, to the far right is a very nicely finished adjustable Alps pot which hilariously starts at Xi and onto whatever. Nigel Tufnel would be proud of this one. It does have a white marker line but I do prefer at least some sort of marker on the outside of that dials so I am not constantly swinging about to volume match for different headphones. The Formula S is not unique in this method, the ALO Audio Studio 6 and the Cayin iHA-6 all so the same. Just this one starts at… 11. Xi Audio have opted for a Class A full discreet BJT rather than a MOSFET (Metal Oxide Semiconductor Field Effect Transistor) amplification design. BJT stands for Bipolar Junction Transistor. FET designs are voltage-controlled devices whereas BJT is current-controlled. BJTs are generally preferred for low current applications, while MOSFETs are for high power functions. Something I was curious about considering the more popular application of FET designs is why Xi Audio opted for a BJT architecture. Basically, Michael said it came down to the quality of the parts he wanted to use to achieve the tone of the amplification output. Whilst acknowledging that MOFSET is generally much easier to work with, the BJT bipolar resistors where, to him, much better amplifier parts than the FET equivalents. The disadvantage to me though is how efficient BJT is in the Formula S. BJT will consume more power because it’s wasting current when it’s switched on. Also, BJT generally has a 0.3v voltage drop in the input pin, and it takes a lot of base current to do that. The actual output power of the Formula S is excellent if not on the pure grunt side like the 7W balanced output of the Cayin iHA-6 or even the 4W of the Violectric V281. You get an output rating of 2.1 watts into 46 ohms which should be more than enough for most modern planars and enough for the Susvara, Abyss and the Final D8000. Again, this output power is seen as a sweet spot by Xi Audio, or an optimal balance between enough power to driver planars but not too much to upset the sound signature’s smooth harmonic balance. The THD=N numbers are very good indeed at 0.0006% compared to say the Violectric V281 which has a THD+N of 0.00079 % at a similar level ((1kHz/2x10V/100R = 1W). The noise floor on the Formula S is almost 10dB lower than the V281 at -110dB compared to 100-102dB. I rate the V281 highly but the Formula S is going to give you one heck of a black background, especially with a proper conditioning power supply.